Signature Iron Garage Doors and railing bring vitality to every home. 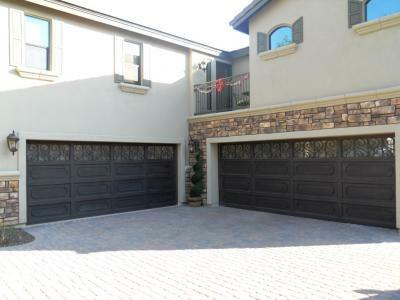 This is a set of our Milan style garage doors with railing to match for a family near Mission Viejo California. Signature Iron Doors is the highest ranking iron door manufacturer in the nation. All parts are hand forged and crafted by certified designers, technicians, and welders. Call to discuss with a sales representative how to obtain a set of iron garage doors and railing for your home.